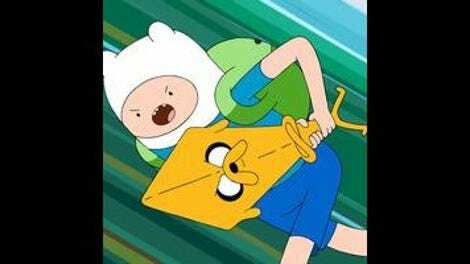 Remember when Adventure Time was a simple show about a boy and his dog and their wacky fantasy high jinks? I totally understand if you’ve forgotten considering how this week of new episodes has progressed, moving away from the fun-loving central pair to explore heavier stories about developmentally disabled family members, the crushing despair of failure, and the loss of loved ones. There’s been plenty of silliness sprinkled throughout, but all of these episodes contain elements that give them more maturity than this series has in its most basic form. That’s not the case with “Mama Said,” a wholly juvenile episode that goes back to the show’s roots and proves that there’s still plenty of entertainment value in Finn and Jake going on adventures. I personally prefer episodes of Adventure Time that try to challenge the viewer, but simpler chapters like “Mama Said” have their merits. This is a children’s show after all, and not every episode needs to be an emotional rollercoaster. Tonight’s story has Princess King Of Ooo sending Finn and Jake out to capture a flying mushroom, which turns out to be a violent superorganism that they destroy with the help of Canyon, the giant blue ex-girlfriend of the legendary hero Billy. If the Megamush is a metaphor for something, it’s not an obvious one, and the primary purpose of the episode’s villain is to spout mushroom-related facts as it creates more fungi with a magical mushroom beam. There’s the tiniest educational element—before this episode, I didn’t know that mushrooms were a good source of vitamin D, copper, and zinc, or that they’re used to create kombucha—but this episode’s aim is to entertain rather than inform. Writers and storyboard artists Kent Osborne and Kris Mukai fill the script with mushroom puns and gags, and like many of the more random episodes on the show, the plot plays out like an exercise in building a fantastic story around an ordinary idea or object. Maybe they were eating a bunch of mushrooms when they were working on this episode. Maybe they were on mushrooms when they were working on this episode. That would explain the non sequitur ending where a Banana Guard breaks out singing The Shirelle’s classic pop hit “Mama Said” after throwing K.O.O. down the stairs. During Adventure Time’s hiatus, I immersed myself in Teen Titans Go!, a show I would catch on occasion but hadn’t really committed to. At the end of the day, I would turn on an episode of Teen Titans Go! and lose myself in the unapologetic ridiculousness of its storylines, binging on huge chunks of the show at a time because it’s like cartoon junk food. “Mama Said” scratches that same itch; it’s funny, strange, action-packed, bursting with bright colors, and doesn’t ask for much intellectual or emotional investment from the viewer. After the first three episodes of this week, “Mama Said” is a refreshing breather that does strong work with the traditional Adventure Time formula. A simplistic narrative is energized by fun individual moments like Finn trying to charm the Megamush with flattery, Canyon using the Sacred Stream of her people as a lethal weapon, and K.O.O. daintily sitting on a mushroom pizza as he tries to make it fly with his mind. There’s one big moment at the end of the episode when K.O.O. 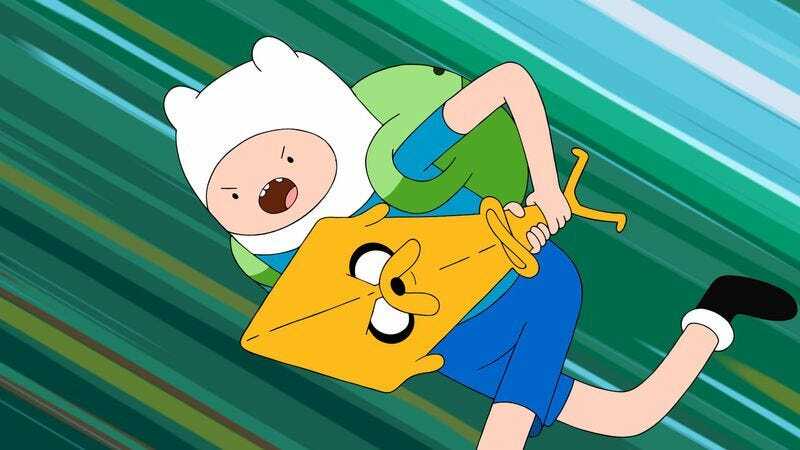 banishes Finn and Jake from his royal guard for failing at their assigned mission, but even that is approached with nonchalance by the creative team. Nothing in this episode is to be taken seriously, which is a welcome change of pace for the show as it tries to bring more depth and higher emotional stakes to a whimsical, juvenile concept. The series has grown past the point where episodes like “Mama Said” are the norm (and is all the better for it), but it’s nice to occasionally be reminded of where Adventure Time started. How far will King Of Ooo go in stealing Bubblegum’s identity? He has her throne and her clothes, what could he steal next? Root Beer Guy has a new name now that he’s back from the dead. Say hello to Dirt Beer Guy! I’ve never tried kombucha because I hear it is very gross. This episode does not make me want to try it.